Not sure why you’d need a guide to shop for furniture in High Point? Click here to read more. 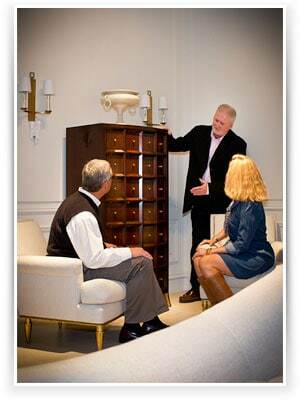 Guided visits to furniture showrooms, local furniture stores, design galleries, specialty stores, and antique shops. There are more than 100 showrooms, antique shops, lighting, art, and specialty stores spread out across High Point and in the surrounding areas. Shannon Neal and his trusted associates will guide you to the stores and manufacturers that match your needs, saving you time, frustration, and money. An agenda customized to your needs, style, and budget. How many rooms are you shopping for? What’s your time frame? Do you require interior design assistance? Are you shopping on a budget, or is the sky the limit? Based on pre-planning sessions, we’ll have you ready to hit the ground running with a well-organized plan to help you have a productive and satisfying shopping experience. 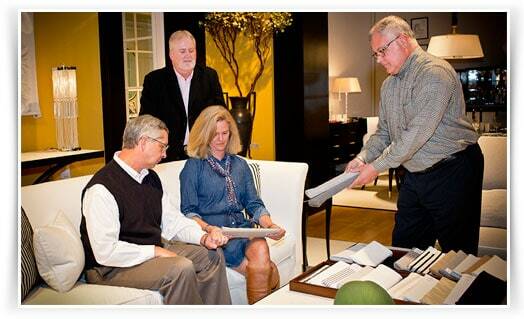 Pre-set appointments with knowledgeable associates at each furniture showroom location. Access to 50+ “invitation only” private showrooms. Many of High Point’s designer showrooms are closed to the public. We offer our clients access to these showrooms, which often feature exclusive designs not available in most furniture stores. Pre-visit planning and post-visit follow-up on all furniture orders. We’ll walk you through a checklist of what to bring on your shopping tour (swatches, tile samples, photos, comfortable shoes, etc.) and our service commitment to you lasts until your furniture and other purchases are delivered to your door. And if you have an issue with any of your purchases after delivery, we’ll help you get it resolved with the manufacturer. 40-60% discounts on your purchases. We not only give you access to private showrooms, but also we share “designer” pricing, which is typically around half of retail pricing. You’ll get great deals at local furniture showrooms, as well as huge savings on fabrics, floor coverings, antiques, lighting, and art. Other valuable furniture concierge services. Discounts at vetted upscale hotels in the area.